DNA Testing is acquiring recognition all over the world. People are now aware that DNA testing can solve a lot of questions that remain unanswered otherwise. 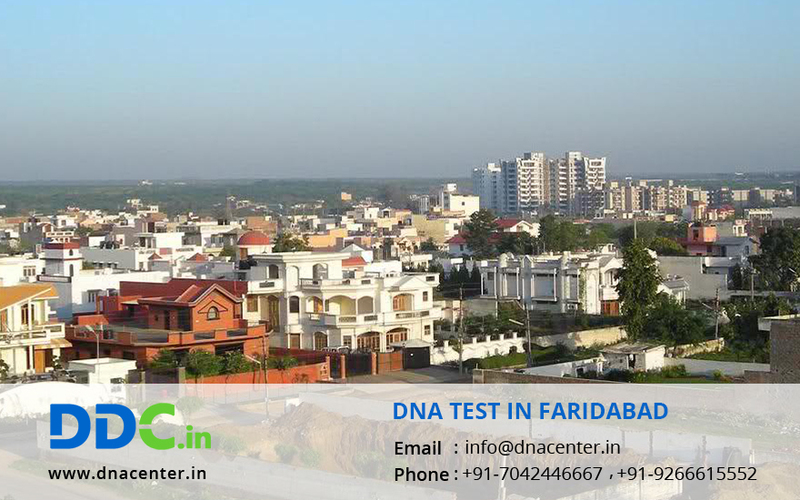 With a simple DNA Test in Faridabad Haryana, you can get answers to many problems. DDC Laboratories India has a whole range of tests according to your needs including peace of mind like paternity DNA Test and maternity DNA tests. We strengthen the relationships that were always in doubt. DNA test can also be done to find ancestral history. Recognition of dead bodies, finding proof for the infidelity and detection of hidden diseases in adoption cases can all be solved under one roof. We understand the importance of DNA tests in one’s life and provide results within best turnaround time at affordable charges. We never release information about a case to anyone who is not authorized to hear it. Our testing lab is AABB certified, so you can be assured of quality. You can also ask for free consultancy from our experts who are available 24/7. For any kind of DNA test in Faridabad Haryana, please fill the given form. Our executive will contact you or for any queries and to make an appointment, give us a call at +91 7533008488.